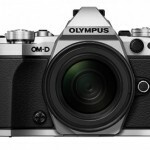 After days of numerous rumors and leaks, Olympus has finally given the official kick-started to their new E-P5. The new flagship of the series takes over from the Pen E-P3 with care and classic design, with room for a built-in electronic viewfinder like the OM-D E-M5. Armed with a 16 million points CMOS sensor (the same as that of the said OM-D, says the firm), beyond retro style and metal body construction, the E-P5 brings a list of significant developments. We start off with the highest shutter speed of 1/8.000 second, a figure unusual in that segment and, in fact, double that of the E-M5. In the same vein, burst is expanded to reach 9 frames per second and the mechanical stabilizer is improved with a 5-axis system inherited from her older sister. Starting with the highest shutter speed 1/8.000 second, a figure unusual in that segment and, in fact, double that of the E-M5. In the same vein, the burst is expanded to reach 9 frames per second and mechanical stabilizer is improved with a 5-axis system inherited from her older sister. Besides showing off speedy autofocus, this Pen premieres highlight mode (“focus peaking”) when focusing manually. A provision usual to other models from other companies, but new to Olympus with this camera. The E-P5 also has a dual control dial and 3-inch swivel touchscreen with a resolution of more than a million points. It also becomes the first Micro Four Thirds Olympus to include Wi-Fi. An interesting function is that, as explained from the signing, you can control the camera from a tablet or smartphone by applying Olympus Image Share 2.0, and transfer images to these devices. In the absence of an integrated viewfinder, Olympus has announced this model with the new external viewfinder VF-4, which expands almost to a 2.4 megapixel resolution, features automatic sensor activation and boasts a magnification factor of 0, 74x. Available next June, the price of the Olympus E-P5 will be about 1,000 euros, and will amount to about 1,100 euros if purchased with the zoom M.Zuiko 14-42 mm f3.5-5.6. Next Canon Rebel T5i vs Nikon D5200 Comparison – Which One is Worth To Buy?